If you need to safely park your car while you shop, which place would you choose? The unguarded open-area or the close-area where there are CCTV and roaming guards? I'm sure you would pick the second option as it sounds safer, better and more secure, right? But did you know that even guarded parking lots these days have also become unsafe? Just read my story about how my friend's car glass got messed up by people that have nothing better to do with their lives. 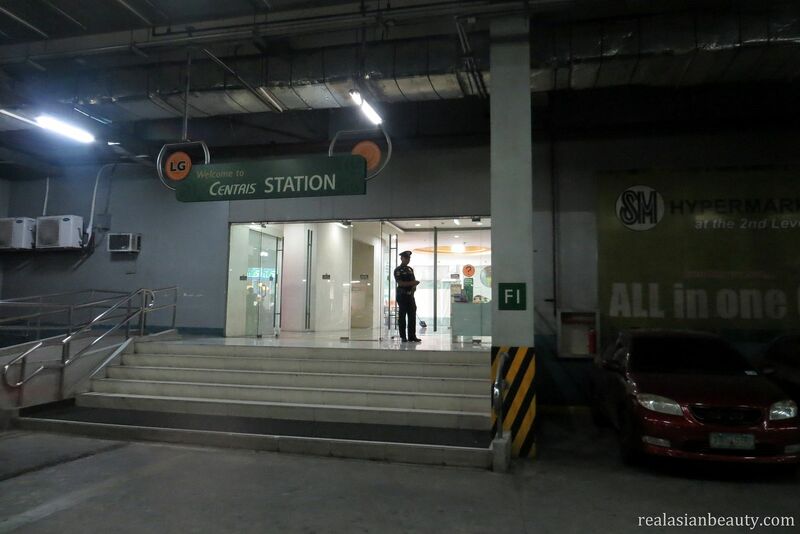 By the way, we are talking about Centris' Parking Lot in Quezon City, just so you remember the place. So it was in the afternoon of March 15, 2015. It was my pre-birthday celebration at a Hello Kitty Salon in San Mateo. I was meeting 10 of my friends so we could go to the place together. My friend, Khaye, kindly offered their car (a Toyota Super-Grandia Van) so we could all comfortably go to the venue. 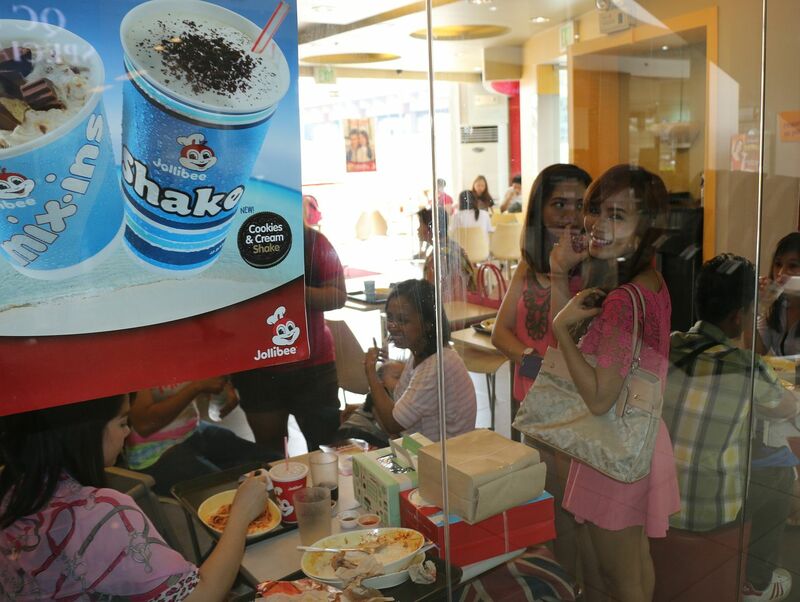 We agreed to meet up at Jollibee inside the Centris Mall in Quezon Avenue. The mirror of my friend's car got cracked on all sides, seemed like someone tried to scrape off all the sides so the mirror would get loose and dismount from the car. There were tiny bits of the black mirror, pertaining that someone really did scrape off the sides of the glass, hoping to get in the car. 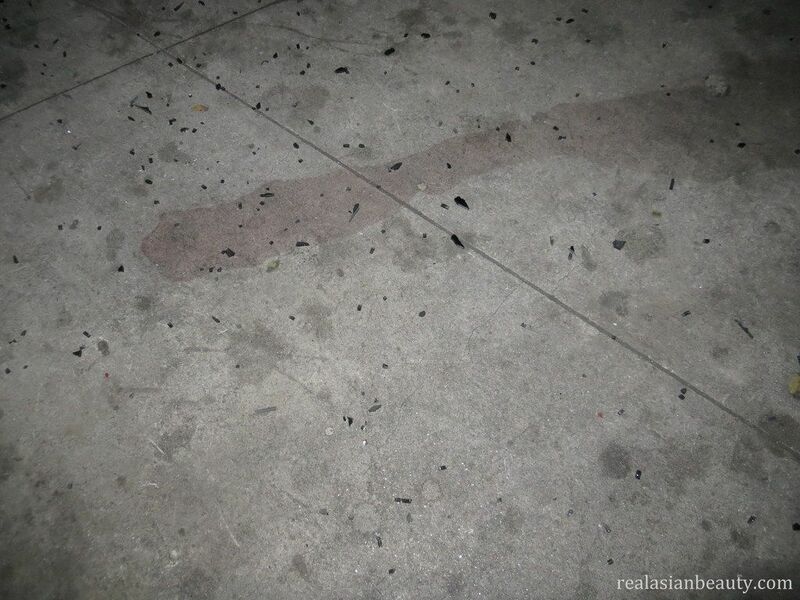 Clearly, the breaking of the glass happened at the Centris parking lot! SHOCKING POINT : Even malls and covered/guarded areas these days also have thieves and robbers. What's even shocking??! The area where we parked our car was adjacent to the door of the mall where a guard was stationed! Don't believe me? I'll show you! 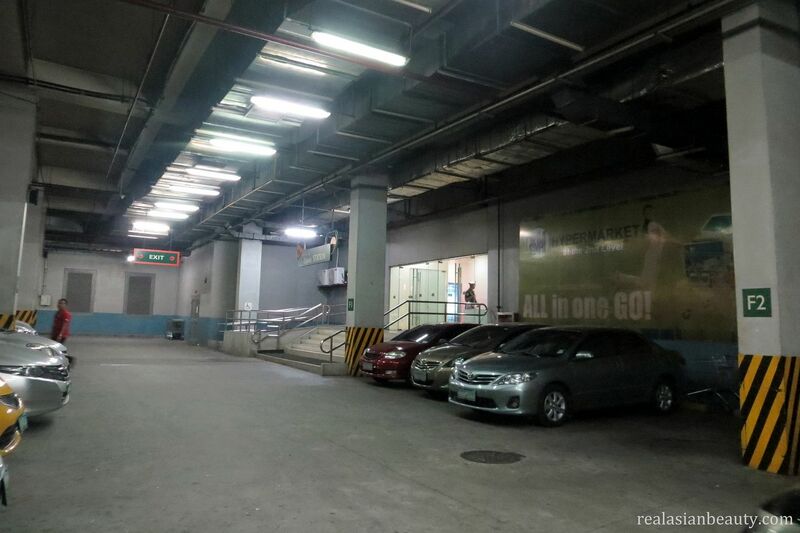 Below is a photo taken right as I was standing at the back of our van, From there, you'll see how close and how visible the mall's entrance is from the car's spot. Here is a photo I took from the guards point of view. 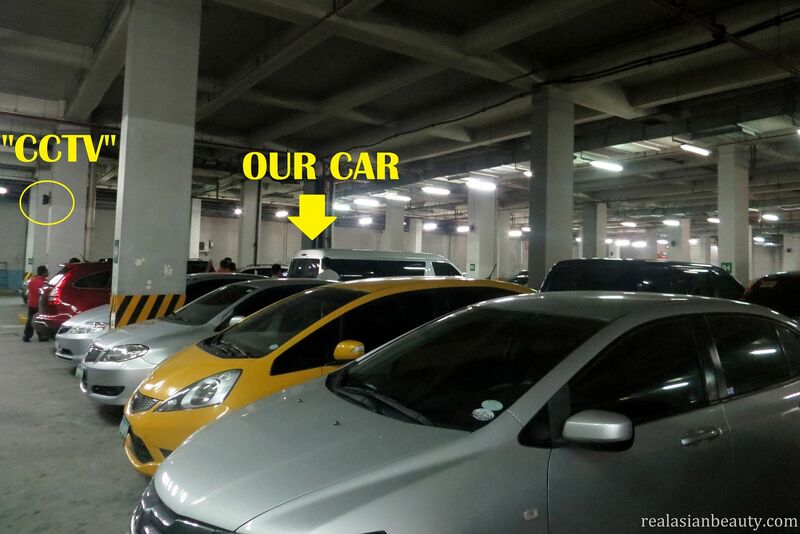 It is IMPOSSIBLE that the guards couldn't have noticed what was happening to our car because first, the back of the car (where the mirror is located) was facing the direction of the mall entrance and the guards. Second, our car is too high. You will easily spot was is happening even if you don't look up or look back anymore. If this happened at a more known mall like SM or Robinsons, I am sure the situation would have been handled better and more professionally. Since Filipino-Chinese business men, in my knowledge, always prioritize their customers and always try to avoid disputes and scandals. They'll just rather handle and fix the situation right away, pay you if possible, rather than disappoint you and then eventually lose a client/customer. But Centris' handling was rather disappointing. First, they made us wait for almost 2 hours at the parking lot. Not a single admin officer of the mall came to us to check what happened, not even a single apology was heard. Next, only the guards, who could have been there already when the breaking of the glass happened, responded to us. They didn't even offer compensation or anything. All they offered first was an I'm-sorry-that-happened-to-you-but-we-can't-do-anything-about-it look on their faces. No nothing. I then stepped in because it was getting too long and our reservation for the Hello Kitty salon was already running. I talked to the parking lot officer and asked him to take us to the mall's administration office. He opposed to the idea and told us it was his boss' rest day, I had to tell him it was our rest day as well. Not only 1 person's rest day but 12 people got stuck at their mall because of their guards and the mall's recklessness. This was the parking lot employee that was there at that time. I can't say the words "helped" nor "assisted" because we didn't get any of those 2 things that day. 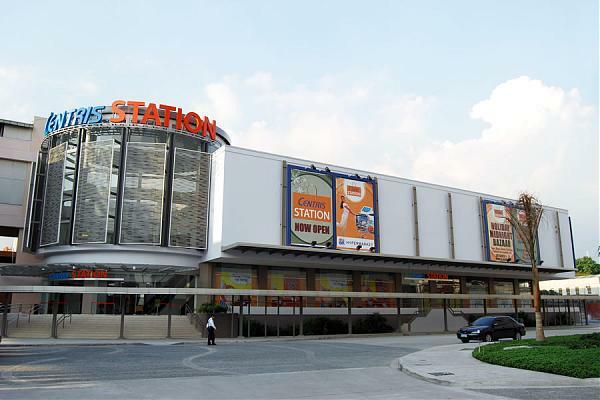 The mall is at Eton Centris in Quezon Avenue MRT Station while the parking lot is operated by Metro Parking Management (Phils.) Inc. The two kept on pointing fingers at each other as none of them wanted to take the blame and be held responsible for the breaking of the car's mirror. After being at the parking lot for more than 2 hours, my friend's husband just asked for the staff to do something about the situation so we could still proceed to our original plan: my birthday party. What they did next was unbelievable. We were expecting something like a car service that would take us to our destination while they take care of our car. But, no. They took some masking tapes and taped the entire glass so it doesn't fall or break while the car is moving. How silly, really! Considering the fact there were 12 people inside our van, 2 pregnant ladies and 2 small children. So, we traveled with our car looking like this. The next thing that happened was sillier. So, they handed my friend a report and told them to go back the next day to the venue so they could fix the car and talk about the insurance. When we were going out of the parking lot, the lady at the parking even asked us to pay for our parking fee. Like, really? We were expecting our car would be properly taken care of but instead the guards just let some people try to break into the car and then still ask us for the parking fee?! 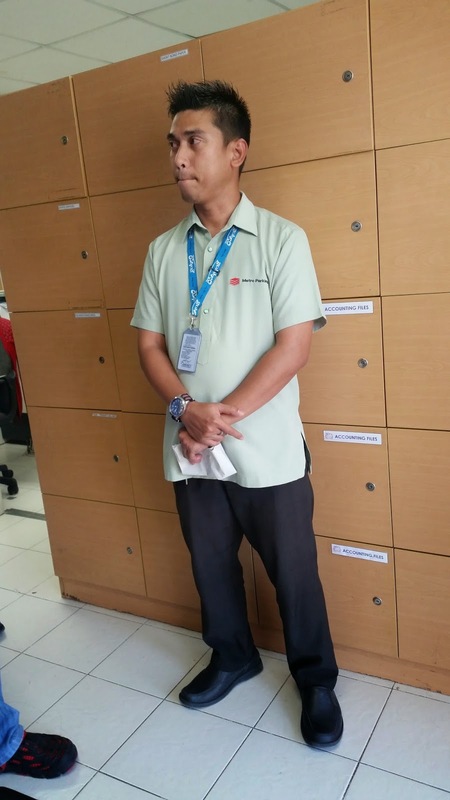 The next day, my friend and her husband took the car to Toyota Service Center in Cubao. 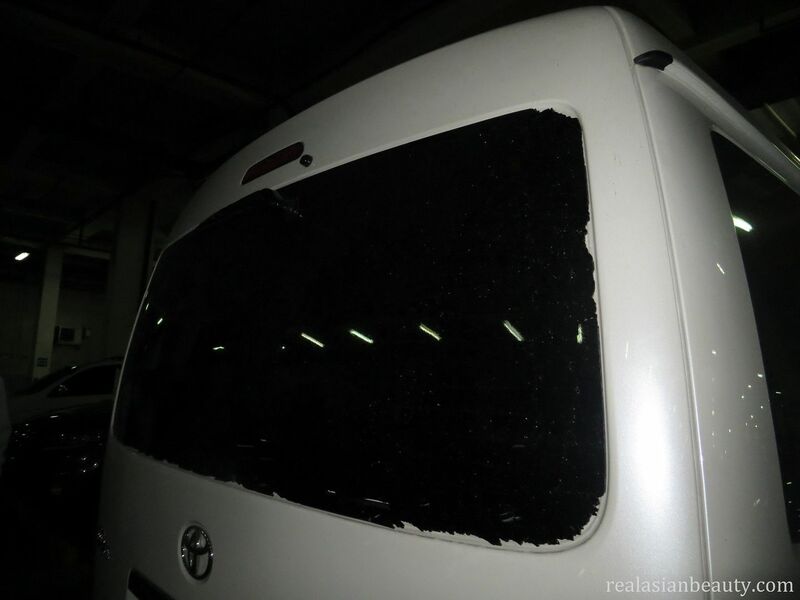 Long story short, they paid freaking Php 40,000 for the car glass that they didn't break in the first place. 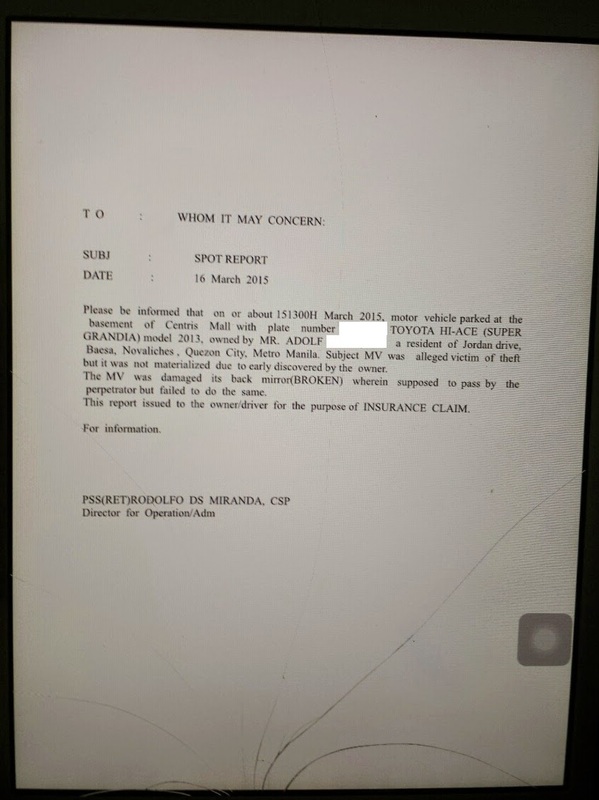 The car was supposed to be safe inside the Eton Centris Mall, with the care of the Metro Parking Management and Delta Force Security... but instead, my friend had to shell out Php 40,000 just for their negligence?!! 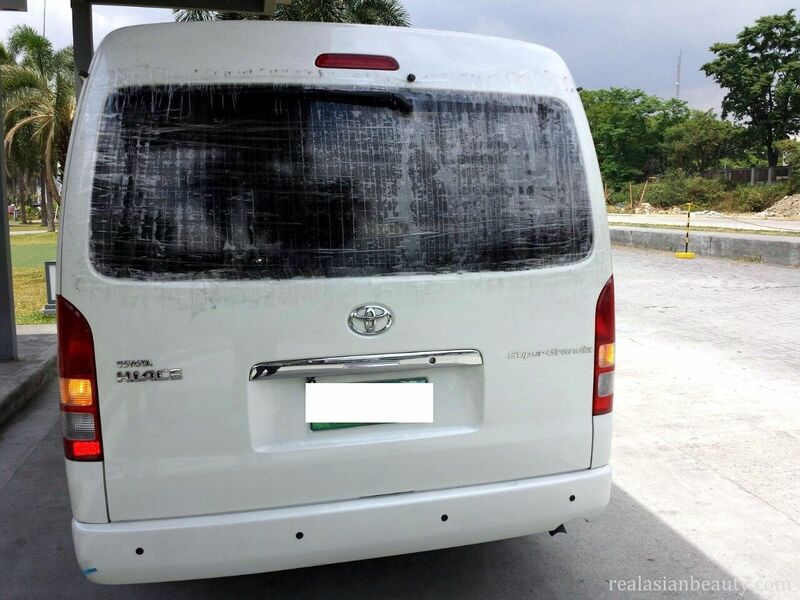 After a few days, March 20, 2015, my friend was able to take their van out of the Toyota Service Station with newly installed back glass. Php 40,000 out of their pockets and a lot of stress they had to go through. The last thing they want is poor customer service from Metro Parking Management and Delta Force Security Agency, right? Wrong. Up to now, the 3 companies are still pointing fingers at each other and still making my friend and her husband to wait. They seem uninterested to take care of the matter and told my friend that they are only willing to pay for the PARTICIPATION FEE!! Which is like only 10% of the Php 40,000!! 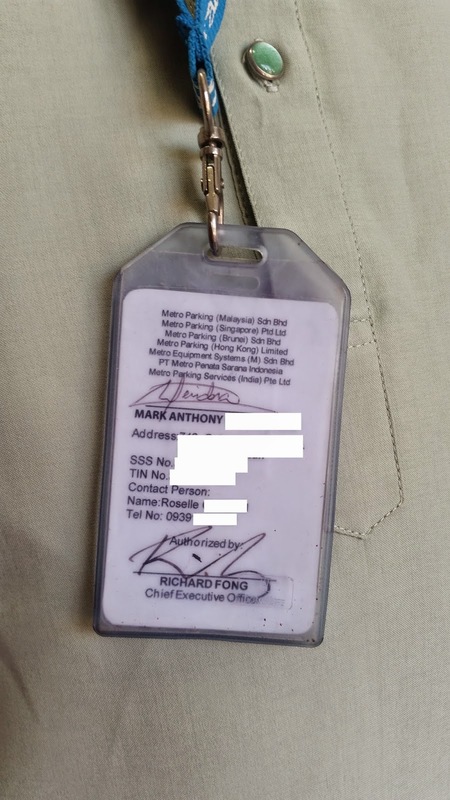 My friend went to the Metro Management Parking and a certain Mr. Abjente directed them to the Delta Force Security Agency. A certain Col. Miranda, head of the Delta Force Security Agency, is now present in the situation. My friend requested a report letter from his office so my friend could now submit the insurance coverage to BPI MS Insurance. But all they gave her was a sloppily-written letter with no signature and no letterhead. It seems Col. Miranda has so much to do that he is unable to attend to a customer that had his car glass broken even with the presence of his guards. Times like this, I really wish I was born with parents that have major connections to powerful people. Not because I want to abuse their power but because I hate seeing discrepancies like this. It was not my friend's fault that their car's glass was broken at the Eton Centris Parking Lot with the care of Metro Parking Management and Delta Force Security Agency, but she had to spend a stupid amount of Php 40,000 for that, instead of buying milk for her 2 children. One of them just recently got out of the hospital. I hate it when I see people neglect some problems like this just because the person is infamous, a commoner and powerless. 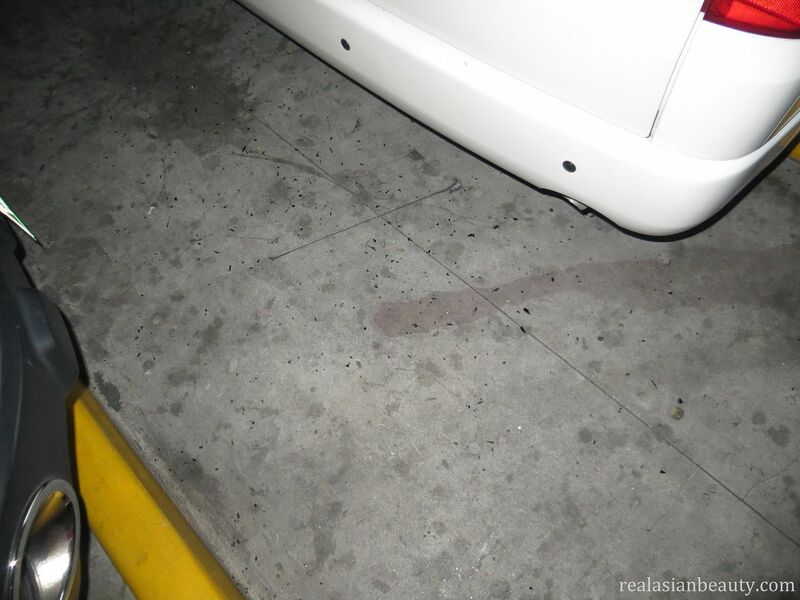 Clearly, it was SOMEONE's fault and negligence that my friend's car almost got robbed at their parking lot. And clearly, SOMEONE has to be responsible and pay for the DAMAGE. But at the moment, it seems, eyes are shut and ears are closed. The response is slow and the feedback is disappointing. To help my friend, I am calling out to Eton Centris Shopping Mall, Metro Parking Management (Phils.) Inc and Delta Force Security Agency. Please help me help my friend and share this blog post. Php 40,000 (~$930) + a huge amount of stress is no joke. May this blog post also serve as a public service announcement. Be careful where you park your car because even closed and guarded places these days, even if you park it right in front of a guard, your car is still susceptible to theft and robbery. Be cautious and always be on the safe side.